They are thin but curvy!!! They are very narrow strips of slightly wavy pasta that were created by a cook of the Roman palaces, with an artistic flair, and were inspired by the hair of Lucretia Borgia!! They are ideally combined with seafood, vegetable and meat sauce! They‘re thick but nevertheless popular!!!! 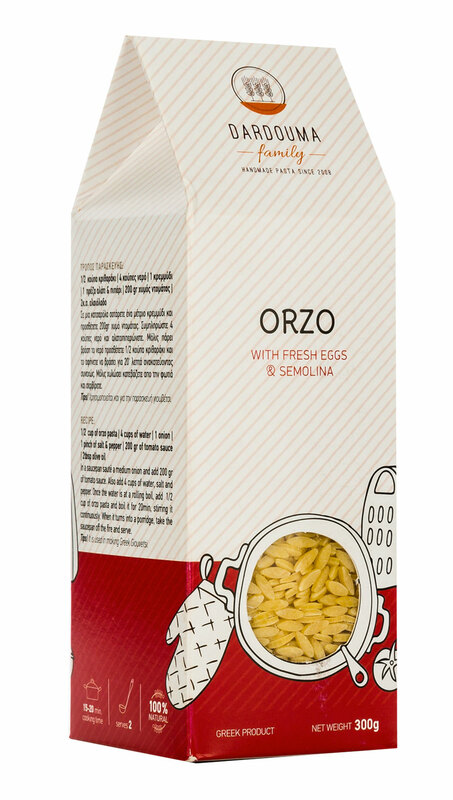 They are made of high quality Greek semolina durum wheat, fresh eggs and milk!! 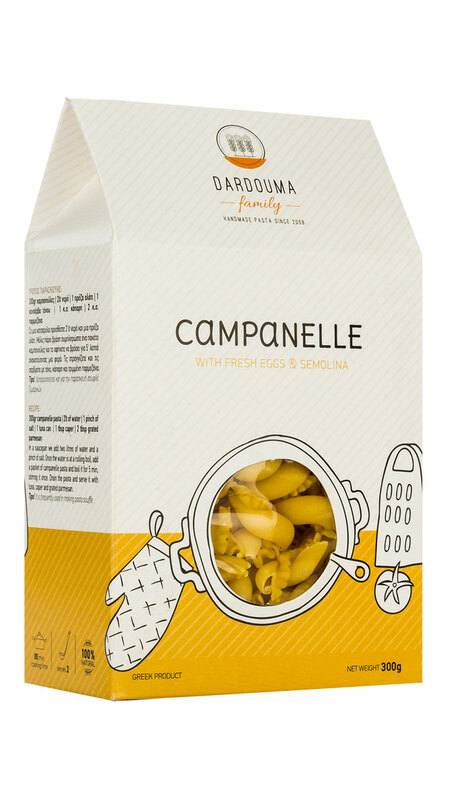 They accompany beautifully any red meat but they can also be cooked with carbonarra sauce!!! 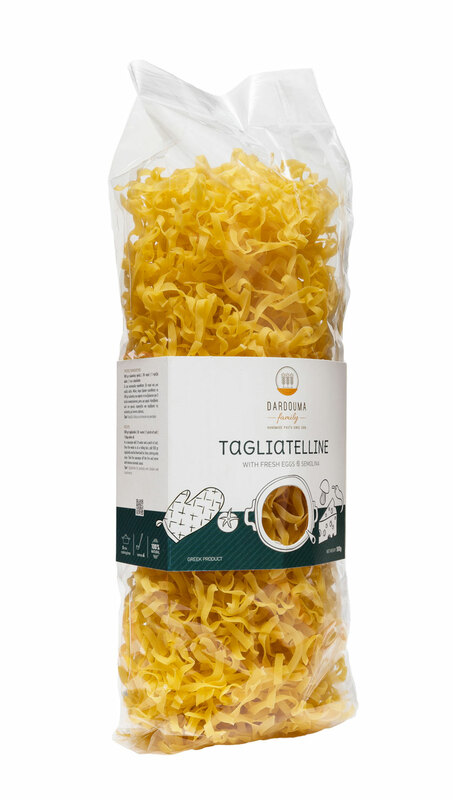 Wholegrain tagliatelle with fresh eggs & milk! 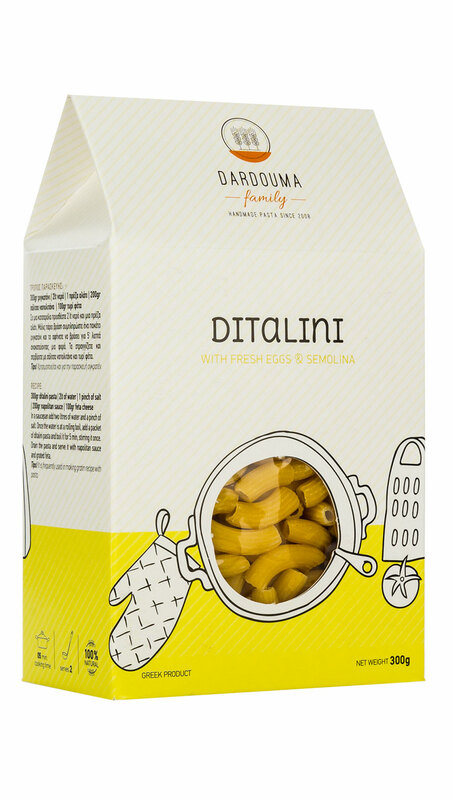 Recommended for people who care for their diet but want to taste the flavor and aroma of pasta! 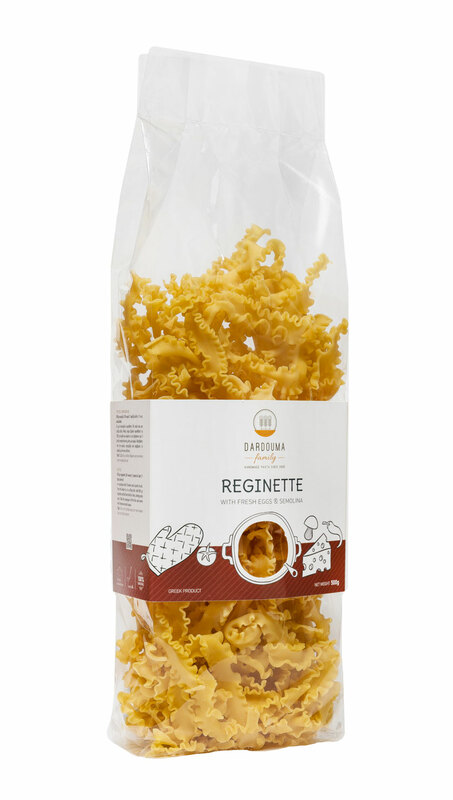 Thanks to their hardness, unique flavor and porous surface, whole meal pasta perfectly matches strong and rich sauces! This wavy thing, what is it???? This is ribbon-shaped pasta with wave edges on both ends .The secret of this pasta is the discrepancy of its smooth surface and its wavy edge. 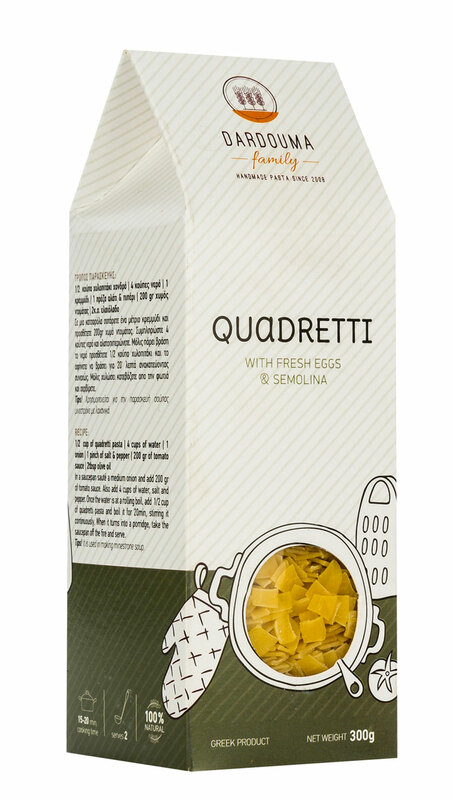 Thanks to its peculiarity, it combines well with delicate sauces! Try serving them with Napolitan sauce or simply with pesto. Their shape is that…. of a bell! It is oval with wavy edges, ideal for pasta dishes and soufflé in the oven. The quirkiness of its shape will inspire you to be more creative in your cooking. We recommend it!! 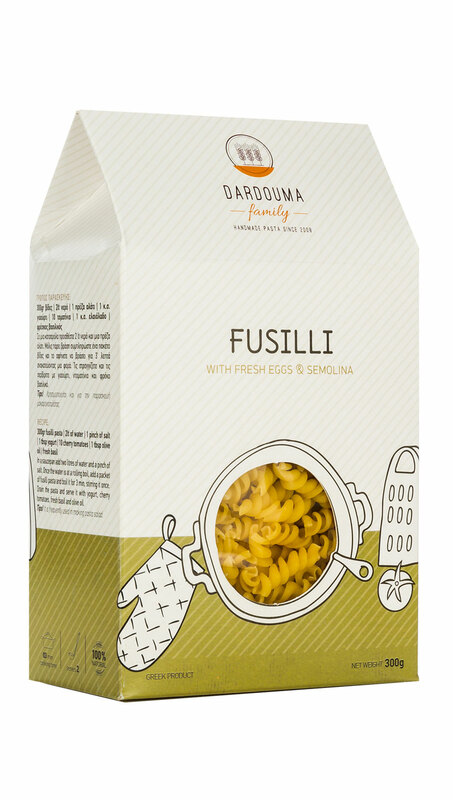 Fusilli match the idea of wrapped spaghetti on a knitting needle! 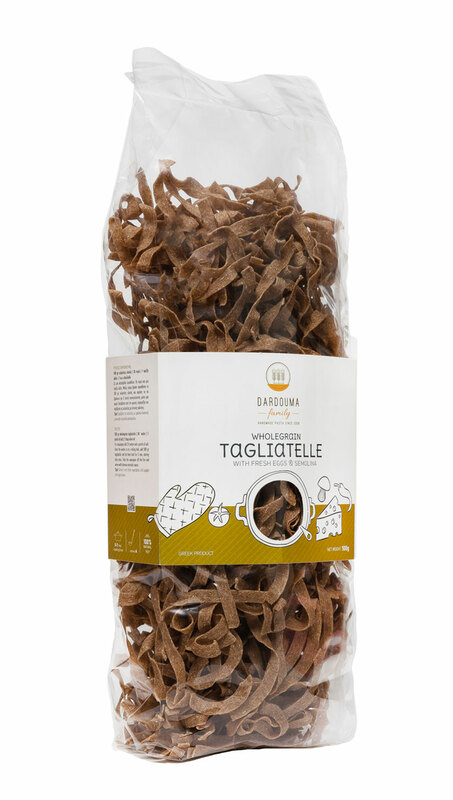 Ideal for cold pasta salads but also for pasta dishes. The turns of the “screw” have the property of holding ample amounts of sauce and that is why we recommend that you serve them after mixing them. Try them with any sauce you like, they go with everything!! The stripes that this pasta has, makes it unique in tasteful combinations with sauces, which it soaks up and traps inside. 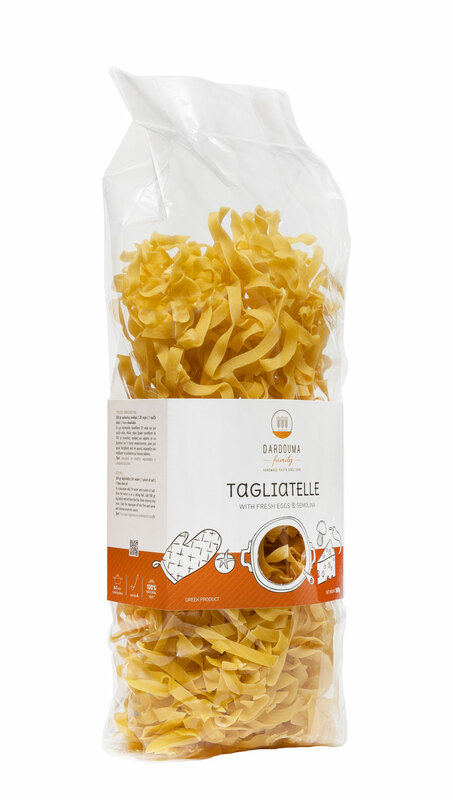 It is suitable for any recipe from the simplest to the more complex dishes! 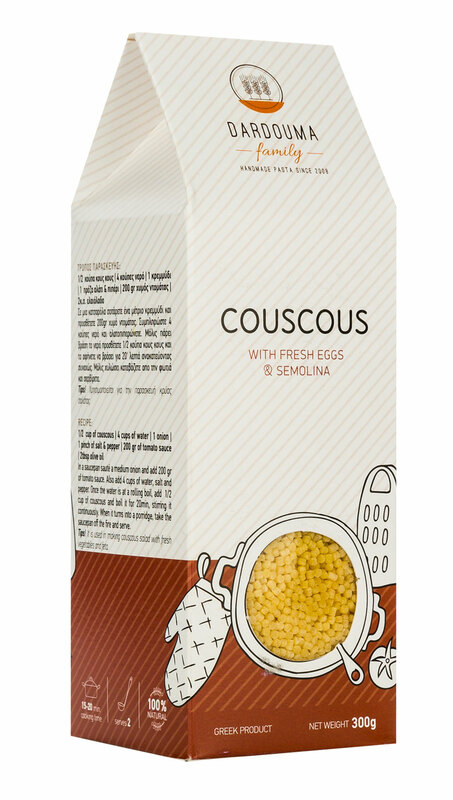 Cous Cous , the popular !! Its name is synonymous with the word ‘food ‘in the Moroccan cuisine! It’s a pasta known all over the world, easy and fast to cook ! Try to cook it with fresh tomato juice but also as a cold salad combined with pulses or vegetables!! So this type of pasta is in a lot of demand! It has a premium position in the Greek diet!! You can bake it with meat, fry it with bacon in the saucepan or make it a soup with vegetables … As you cook it, you will be surprised by its versatility in cooking!! The small square shaped pasta!! It is small & ideal for babies, is easily cooked as a soup with meat, chicken or even vegetables. 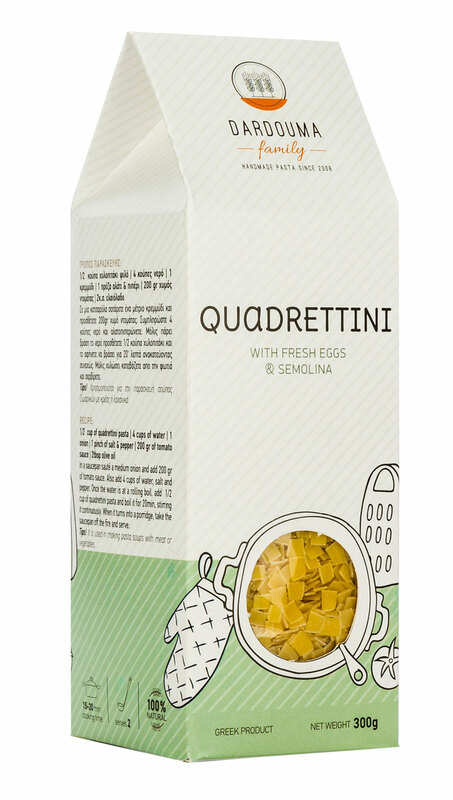 Try to make minestrone soup or red beef soup with quadrettini. It’s a pure delight!!! Barley or noodle is very much used in Greek, Italian and more generally in Mediterranean cuisine. 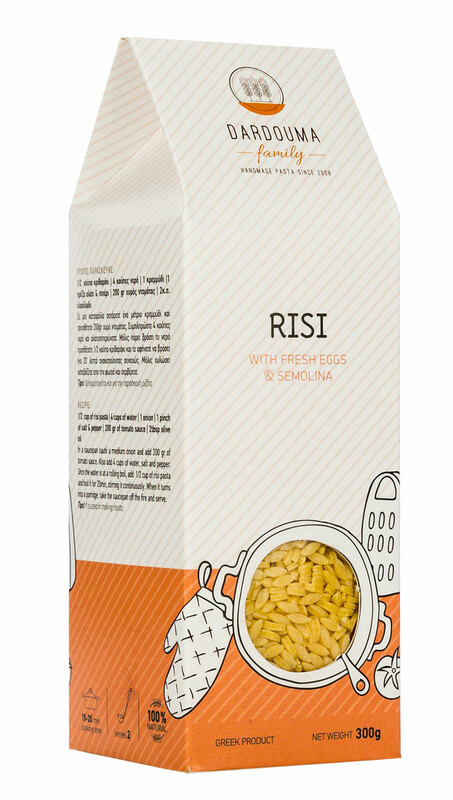 Typical recipes with barley are yuveci with lamb or beef and in recent years the gourmet dish barley risotto style. RiSSI is the very small barley. It is made of high quality Greek semolina fermented flour with milk and eggs. In modern pasta workshops their shape is formed by suitable brass molds! It is a pasta passé partout that can be used both in the casserole and in the oven. Try to cook barley with minced meat or mushrooms or even plain red sauce! !